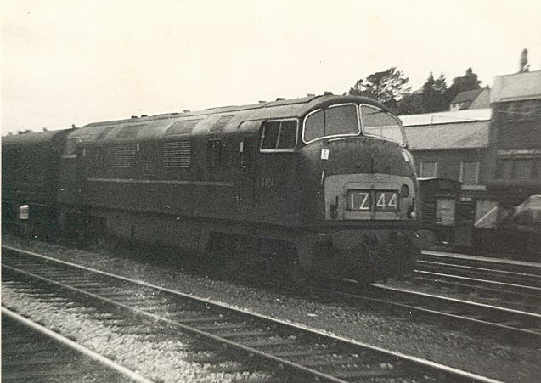 This page has some photos of the early days of diesels in and around Goodrington, near Paignton, all provided by a friend from those days, Steve Marshall. D824 Highflyer a Swindon built Warship on a special working in Goodrington Yard in 1964. 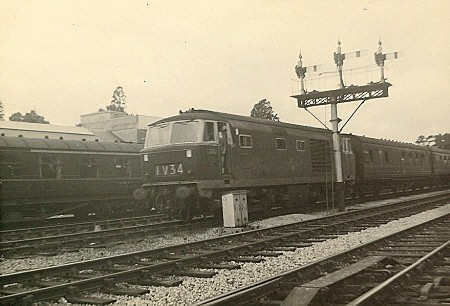 Hymek D7012 brings the stock of a down Summer Saturday service into Goodrington Yard in 1963, note the lack of yellow warning panel on the locomotive, the ex-LMS coaching stock. and also the Goods shed in the background. 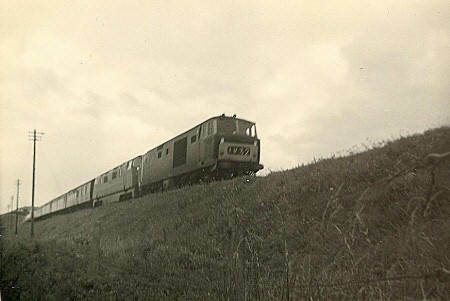 A location less than half a mile from that above D7016 pilots D853 Thruster down Goodrington bank into Goodrington Sands Halt around 1964 with an up express. The heacode appears to be 1M32 - possibly a Kingswear-Wolverhampton working. Any more info would be welcome. Of interest is the claim that Hymeks were rare in Devon. This is not strictly so as they were a regular sight in Devon at this time. Summer Saturday workings such as that above are a good example. 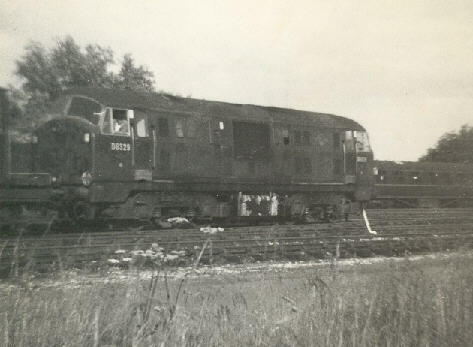 A real blast from the past as D6329 shunts wagons in Goodrington yard in 1963 or 1964. 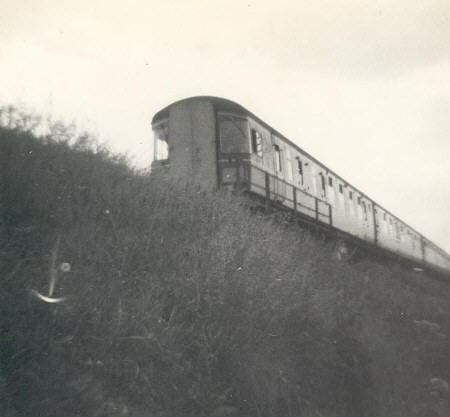 Another view of Goodrington as a Swindon built dmu set with car W52090 leading heads for Kingswear, these Inter City units started their careers on Plymouth/Kingswear - Cardiff workings. They were rather special for a unit and so attracted Steve's attention.